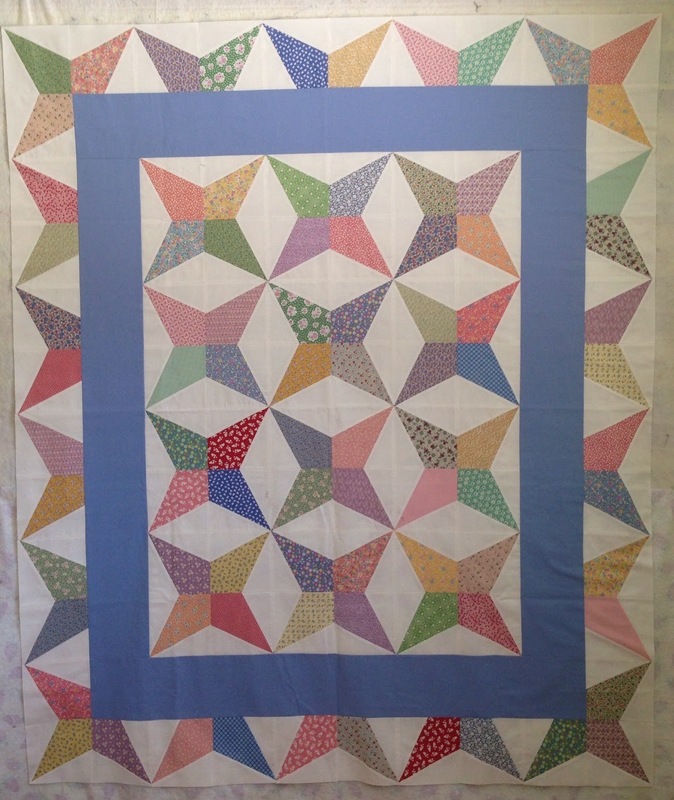 Quilts By Christa: March ALYoF Finish! At the beginning of March, I set a goal to finish this quilt top. Yes, it is finished! 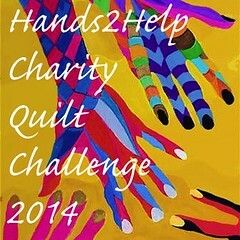 I wanted to share with you the pattern I used as a basis for this quilt. It is Doubly Charmed, by Deb Tucker at Studio 180 Design. The pattern is designed to be used with charm squares. The quilts that our guild makes for donation quilts are larger than the pattern made, so I had to alter the pattern slightly, and I ended up with four-patches instead of nine-patches in the chains. The pattern makes two quilts from the same square of fabric. 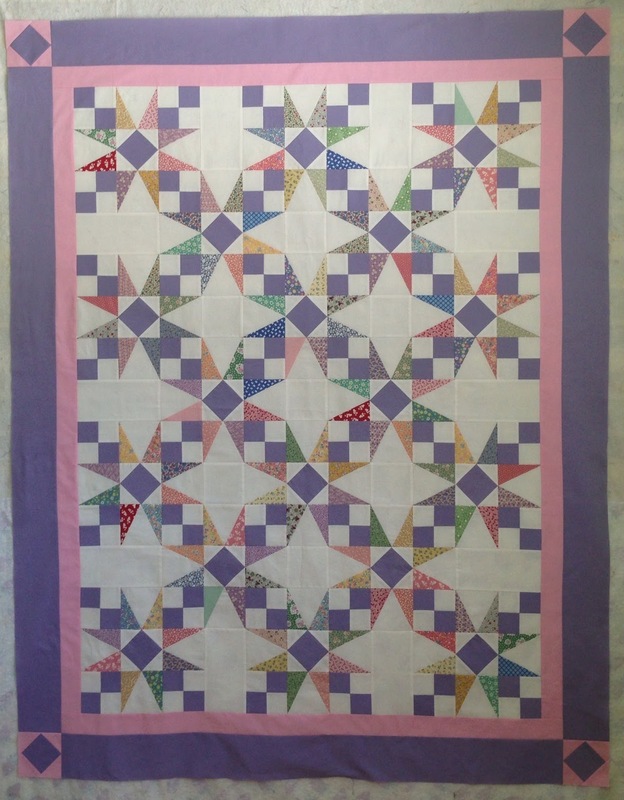 I used seven-inch squares from a collection of 30's fabrics and first made this quilt, the Charmed Corner Beam. 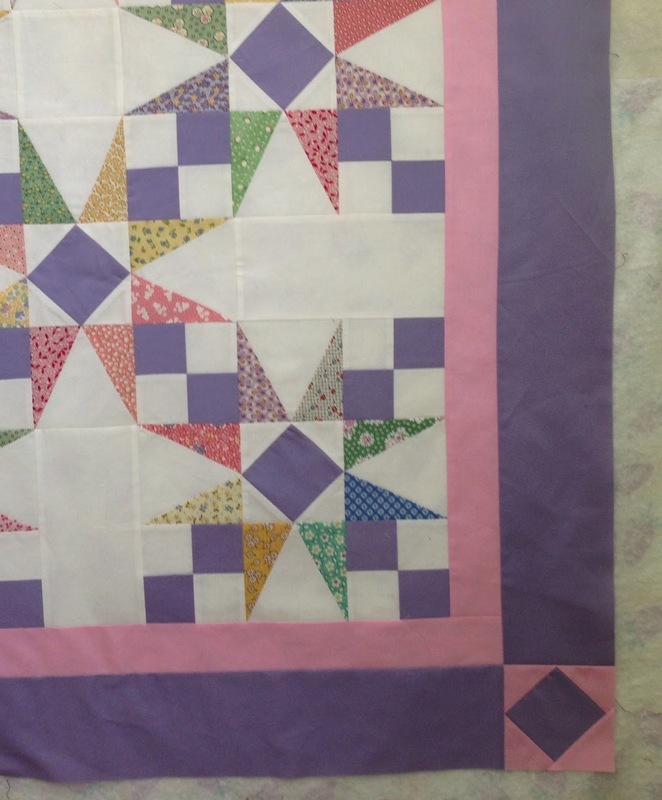 The side pieces are then used as the star points in the Charmed V Block. I purchased three of the rulers to make these two quilts. They are very easy to follow and will make your finished product go together so much easier. And don't you just hate it when you you can't find the instructions for a ruler you've purchased? Not to worry. There are videos on the website to walk you through each ruler. If you're left-handed, instructions are included special for you as well! After quilting and binding, both of these quilts will be donated to SafeHouse Center, a domestic abuse shelter in Washtenaw County, Michigan. Thanks to Shanna of Fiber of All Sorts and Melissa of Sew BitterSweet Designs for hosting the Lovely Year of Finishes. There are a lot of finished projects out there so far this year! Check out either blog for all the finishes this month! I luv the 30's prints. Congratulations...job well done Christa! !